The term ‘transhumanism’ denotes a relatively young and still changing ideology that posits a new vision of humanity as a result of the confluence of advancements in the life sciences, neurosciences, genomics, robotics, informatics, and nanotechnology. These developments include new kinds of cognitive tools that combine artificial intelligence with interface technology, molecular nanotechnology, extension of human life span, genetic enhancing of human mental and physical capacities, combating diseases and slowing down the process of aging, and exercising control over desires, moods, and mental states. Those who enthusiastically promote these developments in biotechnology and bioengineering maintain that the accelerating pace of technological development and scientific understanding will usher in a new age in the history of the human species during which people will live longer, will possess new physical and cognitive abilities and will be liberated from suffering and pain due to aging and disease. In the transhuman age, humans will no longer be controlled by nature; instead they will be the controllers of nature. The term ‘transhumanism’ was coined by Julian Huxley in 1957,2 although the meaning of the term was quite different from the way it is now being used. Today the term means a way of thinking about the future that is based on the premise that the human species in its current form does not represent the end of our development but rather a comparatively early phase. Some of the ideas and characteristics of transhumanism today can be traced to the 1920s and early 1930s in the works of J.B.S. Haldane, J.D. Bernal and Aldous Huxley. The horrors of WW II invalidated the goal of creating a new and better world through a centrally imposed vision and they also discredited the eugenics movement of the 1920s. In the 1960s, however, more optimistic futuristic scenarios were articulated by science fiction writers such as Arthur C. Clarke, Isaac Asimov, Robert Heinlein, Stalislaw Lem, and later Bruce Sterling, Greg Egan, and Vernor Vinge who speculated about the new, transhuman future. In the 1960s the futurist Fereidoun M. Esfandiary, who later changed his name to FM 2030 (the year of his 100th birthday) began to identify “transhumans” as persons who behave in a manner conducive to a posthuman future. In the late 1980s, philosopher Max More formalized a transhumanist doctrine, advocating the “Principles of Extropy” for continuously improving the human condition. At that time various organizations began to advocate life extension, cryonics, space colonization, and other scenarios while advances in biotechnology, neuroscience, and nanotechnology began to make their mark. Eventually Marvin Minsky, an eminent artificial intelligence researcher, articulated many of the themes of the transhumanist vision and he was joined by other famous scientific visionaries such as Ray Kurzweil, Eric Drexler, Frank Tipler, and Hans Moravec. In the late 1990s a group of transhumanist activists authored the “Transhumanist Declaration” stating various ethical positions related to the use of and planning for technological advances. In 1998 the World Transhumanist Association was founded by philosophers Nick Bostrom and David Pearce and its membership today is about 4000 people world-wide with several geographically divided chapters and special-interest affiliates.3 Other contemporary organizations, such as the Extropy Institute, the Foresight Institute, the Immortality Institute, the Institute for Ethics and Emerging Technologies, and the Singularity Institute for Artificial Intelligence, also play a role in the transhumanist movement. In 2006 the World Transhumanist Association voted to recognize the Mormon Transhumanist Association as its first religious, special interest affiliate. All of these organizational activities have been facilitated by the communication revolution of 1980s and 1990s with instant communication world-wide. The Internet is not just a means of communication for transhumanist ideas, but functions as part of the transhumanist eschatological vision. In short, transhumanism is the ideology that attempts to give coherence to a range of disparate ideas based on the technological advancements in the second half of the 20th century. It is instructive to note the relationship between the emergence of this new ideology and larger cultural trends that have contributed to the collapse of disciplinary boundaries. 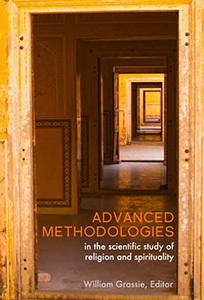 The division of knowledge into the natural sciences, the social sciences, and the humanities, has a long history but it was consolidated with the professionalization of the European universities (especially in Germany) during the 19th century.4 While the Enlightenment discourse of progress prevailed, each discipline expanded in its own domain, claiming for itself a distinctive methodology and ensconced in its own institutional setting of academic department. Knowledge in each discipline of the natural sciences, the social sciences and even the humanities expanded while Europe’s nation-states fought each other for control of resources in the presumably under-civilized world, which had to be saved from its own inadequacies and backwardness through enlightened modernization. This modernist self-understanding legitimized less than noble treatment of large sections of the world at least until the middle of the 20th century, when it finally collapsed as the horrors of World War II exposed the dark side of modern science and technology. In the post-WW II world, postmodernism, post-colonialism, globalization, and the confluence of science and technology spelled the end of traditional disciplinary boundaries. Postmodernism has made us all more aware of the role that language plays in construing our perception of reality, our knowledge claims, and our self-justifying individual and collective narratives. Post-colonialism has made us conscious of the negative legacy of the colonial and imperial past which has destroyed many indigenous cultures in its relentless pursuit of progress. Globalization has given rise to multi-national corporations that trade commodities, services, and intellectual properties across national borders through instant communication systems. Nowadays, nation-states still exist and fight for their collective goals, but large scale migrations (be it forced or voluntary) as well as the communication and transportation revolutions entail that people of diverse cultures and traditions constantly interface with each other. By the same token, in academic institutions departments still exist as a structural feature of the institutions of higher learning, but increasingly their disciplinary boundaries are becoming meaningless. At ASU in particular a deliberate attempt to break down disciplinary boundaries is under way with the commitment to create transdisciplinary schools, institutions, and centers. It is thus quite fitting that ASU was awarded the Templeton Research Lectures on transhumanism, since the vision of the transhuman mirrors the breakdown of disciplinary, political, and national boundaries. Transdiciplinarity, therefore, captures the new state of affairs in human knowledge as much as transhumanism captures the new human condition. Like all ideological movements, transhumanism has diverse concerns and does not speak in one voice about all issues. However, we can identify several main themes: a view of evolving human nature, the emergence of enhanced humans who will exceed ordinary human physical and cognitive traits, a preoccupation with human well-being or happiness that can be perpetuated indefinitely, and a vision of cybernetic immortality. A brief explanation of these features is in order. The main feature of transhumanism is the claim that human nature is not fixed and that the future of humanity is malleable because of the “dramatic progress in technological capabilities.” It is technology that will enable humans to transform themselves gradually into persons whose capacities will exceed what we today recognize by the term “human.” For the advocates of transhumanism such development is entirely welcome. A different approach to the notion of enhanced humans in the transhuman future comes from computer scientists and specialists in robotics and artificial intelligence such as Marvin Minsky, Raymond Kurzweil, Hans Moravec, and Kevin Warwick. They focus on the revolution in robotics and the merger between information technology and biology. By 2030 computing power should readily exceed the computing power of the non-enhanced human brains. As understanding of and control over biology increases, humans would also learn to integrate biological and information technology. Robotics would become so sophisticated that humans would transfer their experience and knowledge to one another or to non-biological substrates to enable indefinite extension of life. The emergence of strong artificial intelligence, in non-biological or enhanced biological forms, would lead to the advent of “The Singularity.” Kurzweil defines The Singularity as “a future period during which the pace of technological change will be so rapid, its impact so deep, that human life will be irreversibly transformed.” In Kurzweil’s prediction, while The Singularity is neither utopian nor dystopian, it will change our nature and our world in unprecedented ways. In these future scenarios, “our technology will match and then vastly exceed the refinement and suppleness of what we regard as the best of human traits.”10 As a result, humans will no longer be the ultimate beneficiaries of technological development and will probably be destined to obsolescence. The critique of the transhumanist project of enhancing humans comes from the relatively new field of evolutionary psychology whose practitioners argue that human nature is a reality that has emerged from the long evolutionary process. Steven Pinker, the best known proponent of evolutionary psychology, defines human nature as “the endowment of cognitive and emotional faculties that is universal to healthy members of the Homo sapiens.”12 According to Pinker, all human beings share a universal human nature despite differences among individuals, races, and sexes, since these differences too are also in our nature. Other evolutionary psychologists such as ASU’s Templeton Co-Fellows, Leda Cosmides and John Tooby,13 hold that the normal make-up of human minds is a result of evolution by natural selection. The major finding of the Cosmides-Tooby team is that the human mind “has evolved a specialized machinery that is designed to carry out specific tasks.” For this reason, Cosmides objects to germline genetic engineering which will alter “what defines a human personality… [because it] affects the control system of the body and alters complex, exquisitely well-designed mental mechanisms that have been engineered by the evolutionary process to solve problems of survival and reproduction.”14 Human intervention in the evolutionary process may produce humans with greater-than-human intelligence, but we do not know what will be the unintended consequences of such intervention. Given their understanding of human nature, evolutionary psychologists tend to be quite skeptical about and even critical of the transhumanist project. Tooby identifies two strands within transhumanism: the Enlightenment strand and the Romantic strand. The former is an extension of the 18th century Enlightenment Project and it involves the attempts by science and technology to improve the human condition.15 Viewed from this perspective, transhumanism is not as novel as it seems, since all of us are already augmented beings if we take into considerations the many technological advancements over the centuries that have transformed who we are. Thus agriculture, writings, postal services, navigation, calculus, antibiotics, radio, television and photography, computers, are all technological innovations that has shaped who we are, and it is reasonable to assume that we will continue to be augmented by future technologies. So long as transhumanism simply advocates the 19th century commitment to progress and alleviation of human suffering, it is hard to critique it. However, transhumanism becomes much more problematic from an evolutionary perspective when it predicts a dramatic change in the human species, due to technological enhancement. It is this claim, which evolutionary psychology disputes, because of the way in which the human brain has evolved to perform certain tasks and because we are still largely ignorant about the operation of the brain. Tooby thus urges us to ask the simple but crucial question: “what is the goal of technological change?” and he correctly warns us to be careful not to confuse “evolution” with “progress.” Tooby notes that evolution is also capricious, cruel, and random, and that we are the effects of biochemical natural selection that has produced things we hate (for example, infanticide). The case of infanticide shows that human nature is real: the mind is not a blank slate but rather a computational structure that is full of mechanisms that have been selected over a long evolutionary process of adaptation. Therefore, Tooby encourages scientists to continue to map the mechanism of the adapted mind and its specific programs before we naively embrace the projects of transhumanism. At present, we do not even know what does it mean to have a thought, and therefore it is very unlikely that the transhuman vision of uploading the thought content of our personality should be taken too seriously. Garreau’s dramatic retelling of the story of human evolution coheres with the sense of urgency in the transhumanist vision, which foresees humanity on the verge of radical change. But Sander van der Leeuv, the head of the School of Human Evolution and Social Change at ASU, who reflects on transhumanism from the perspective of anthropology, provides a much less dramatic and less sensational view of the information revolution.17 Prof. van der Leeuw ponders why did it take so long to “invent” and accelerate innovation? And why did it go so fast, once we reached that point? 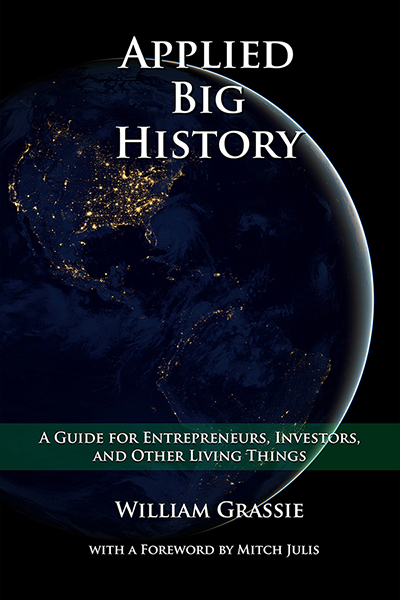 His account of human development highlights how humans were able to invent causal sequences, acquire dimensionality, conceptualize scale, composite tools, conceptualize space, learn to take risks, settle and develop agriculture, control time and space, intervene in nature, control motion and energy, create social organizations and trade. All of these developments involved technology, but the most important of all is the development of information because it facilitated communication channels and the emergence of culture. Energy and matter are subject to the laws of conservation; they can be displaced but cannot be shared. In contrast, information systems are not subject to conservation and therefore can be shared. Societies are held together by a shared culture, shared ways of doing things. Biological systems transmit information genetically, but social systems transmit information through learning and energy and information networks reciprocally interact. According to Prof. van der Leeuw, human beings have already experienced deeper revolutions than the one posed by transhumanism, for example, the rise of towns. Van der Leeuv demonstrates his point by looking carefully at the case of Rome in terms of relationship between energy, population, and innovations. In his assessment of transhumanism, it is our human nature that generated the challenges we face, and these challenges are no worse than the earlier transitions. The difference is one of a-priori and a-posteriori perspectives. We are still human and will continue to be so, but transhumanism raises the challenge how to master the very process of innovation itself. Because information is now independent of its substratum, all fantasy worlds are potentially possible. The emergence of nanotechnology entails that we no longer have an intuitive grasp of the world. Transhumanism is so challenging because of the accelerating rate of change, the potentially negative impact on the environment, and most importantly the lack of focus on values. While van der Leeuv holds that we need more self-restraint (as illustrated in the debate about sustainability), he concedes that there is no answer to the question how to adjudicate between conflicting values. The debate about values is the core element in facing the challenges of transhumanism. That aspect becomes clearer once we consider transhumanism as a pursuit of happiness. 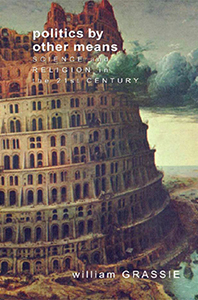 When Greek and Hellenistic reflections on happiness were integrated into monotheistic religions, first Judaism, later Islam, and finally Christianity, the pursuit of happiness was given a decidedly religious interpretation even when analyzed philosophically, illustrating the integration of science and religion characteristic of the premodern era. In the modern period, however, the secularization of the Christian West and the scientific revolution, gave rise to materialism and naturalism and the dissociation of science and religion. In the 17th and 18th centuries, happiness came to be identified with well-feeling. By the 19th century this idea would give rise to utilitarianism and its calculus of happiness as a balance between pleasure and pain for the greatest number of people. Moving away from the eudaimonistic conception of happiness, the Utilitarians defined happiness subjectively. For Jeremy Bentham, for example, pleasure is the only good and pain is the only evil; pleasure and pain determine what we do and it is only the scientific analysis of the balance between them that leads to happiness, requiring no recourse to religious belief. As science and religion were gradually pulled apart from each other during the 19th century, a strictly materialistic and hedonic notion of happiness prevailed: happiness is a subjective, mental state of individuals closely akin to joy and inherently associated with a range of pleasures. In a capitalistic setting, the hedonic notion of happiness means that happiness is equated with possession of material good or the instant gratification of bodily cravings. The discoveries of chemical substances (legal or illegal) that control moods and mental states further trivialized the pursuit of happiness. As neuroscientists have unraveled the chemical processes of the brain, they have enabled the pharmaceutical industry to produce chemical substances that control, alleviate, or change moods and emotions. Under the impact of the brain sciences, both happiness and unhappiness are now viewed strictly in materialist term: a pill presumably makes one attain happiness or alleviate unhappiness. By the beginning of the 21st century a strict materialist approach to happiness prevails. The Transhumanist Declaration does not discuss happiness directly, but if one peruses the literature generated by leading transhumanists such as Max More, one can immediately detect how this conception of happiness undergirds the entire project. Max More is the head of Extropy Institute. Extropy is defined as “the extent of a living or organizational system’s intelligence, functional order, vitality, and capacity and drive for improvement” and “extropic” are the “actions, qualities, or outcomes that embody or futher extropy.” According to More is extropy “is not a real entity or force, but only metaphor representing all that contributes to our flourishing,” in other words, happiness. The principles of Extropy enumerated by More include: “perpetual progress, self transformation, practical optimism, intelligent technology, open society in terms of information and democracy, self-direction, and rational thinking.”20 Like other promoters of transhumanism, Max More emphasizes how the pace of change – technological, cultural and economic – continues to accelerate and to reach deeper. For him advances in technologies (including “social technologies” of knowledge management, learning and decision making), will enable us to change human nature itself in its physical, emotional, and intellectual aspects. More predicts that with better knowledge and decision making, humans could live far longer in better than “perfect” health, improve their self knowledge and awareness of interpersonal dynamics; overcome cultural, psychological and memetic biases in thinking; enhance intelligence in all its various forms, and learn to thrive on change and growth. In short, humans will finally be happy. The transhumanist approach to the pursuit of happiness is problematic for the following reasons. First, the transhumanist notion is an extension of the hedonic understanding of happiness characteristic of 19th century Utilitarianism. Focusing on self-fulfillment, transhumanists do not take the notion of virtue seriously enough nor do they explain how the values of the authentic Self promote human flourishing. Transhuamnists talk a lot about life satisfaction, self-fulfillment and self realization but they have not provided an analysis of the relationship between the subjective and objective aspects of happiness. A more rigorous analysis of the meaning of happiness which lies at the foundation of the transhumanist project is needed. Beyond the philosophical lack of clarity, the hedonic understanding of happiness is problematic on scientific grounds, because it is materialistic and reductionist. Reducing mind to brain functions, transhumanists use the metaphor of the computer to explain how the mind works, but as Pinker has already argued persuasively, this metaphor has serious shortcomings. The human brain is much more than a computational machine; it is part of a highly complex and integrated organism that requires to take into account not only the nervous system but also the immune system as well as the socio-cultural context in which we are embedded. If happiness concerns the flourishing of the individual as a whole, happiness cannot be reduced just to the functioning of the body, as we encounter in transhumanist literature. Nor can we reduce the human self just to brain functions of neurons that communicate using chemical messengers, neurotransmitters and neuromodulators via synaptic transmission. We need a more holistic understanding of the human self than the one presupposed by transhumanism. But the most troubling aspect of the transhumanist approach to happiness is the notion that technology will allow us to produce pleasant sensations all the time. The ability to manipulate the molecules and electrical impulses in the brain is reaching a new sophisticated level due to precise brain scanning and soon neural implants which are now treating people with Parkinson’s disease will someday jolt regions of the brain to induce or suppress specific emotions. It is this specter of transhumanism which makes me most uneasy because it ignores the value of insecurity, anxiety, uncertainty which are very much part of being human. Human culture (especially art and philosophy) could not have been possible without these allegedly negative aspects of being human. But if chemicals root out these human abilities, what will be the source of creativity? Hedonic engineering is not a prescription for cultural depth and creativity; it is a prescription for childish shallowness that regards having fun and feeling good above all other values. That transhumanism perpetuates the youth culture that prevails in America becomes more evident once we examine the third main concern of transhumanism, namely, radical life extension. A third focus of transhumanism is the struggle against aging and the attempts to postpone death. For leading transhumanists such as Aubrey de Grey, aging is “an enemy” because “it saps our strength and ability to enjoy life, [it] cripples us, and eventually kills us.”21 De Grey is convinced that one day scientists will find a way to defeat aging, and in the meantime he encourages us to take action and help make therapies for aging and life extension medicine a reality. The “crusade” against aging utilizes science to increase healthy life span and reduce the risk of suffering age related conditions in later life. Today, the most affective method for life extension is calorie restriction and taking supplements, but de Grey predicts that main breakthroughs will come from biomedical gerontological research which he conducts under the title of Strategies for Engineered Negligible Senescence (SENS). De Grey’s science of SENS focuses on eliminating the telomere-related mechanisms that lead to cancer by selectively modifying our telomere elongation genes by tissue type, using targeted gene therapies. Another focus of his research is mitochondrial DNA outside the cellular nucleus which accumulates damage with age that impairs its critical function. De Grey suggests using gene therapy to copy mitochondrial DNA into the cellular nucleus and other strategies for manipulating and remapping mitochondrial DNA in situ. A third aspect of aging process is the protein outside our cells such as those vital to artery walls and skin elasticity. Research is now undergoing for suitable enzymes or compounds to break down problem proteins that the body cannot handle A fourth area of research focuses on certain classes of senescent cells that accumulate where they are not wanted, for example, in the joints. De Grey proposed to use immune therapies to tailor our immune system to destroy cells as they become senescent and thus prevent any related problems. Further research into the biochemistry of “junk material” that accumulates outside the cells will facilitate immune therapies (vaccines). De Grey and other scientists, including John Schloendron of ASU, also envision searching for suitable non-toxic microbial enzymes in soil bacterial that could be safely introduced into human cells. The crusade against aging is thus a protest against the reality of death. De Grey does not deny that death is real but he wants to postpone it as much as possible. But for what end? For what purpose should we extend human life indefinitely? What is human life going to be about for this extended duration? What will human beings engage in for the duration of 150 or 500 years? Will it be more consumerist activities, more entertainment, more “fun,” more wars, more destruction of the natural environment? I wonder. Of course, I am not against healthy living or finding ways to alleviate the suffering caused by debilitating diseases such as Altzheimer and Parkinson, but I also believe that the extension of human life cannot be divorced from a deeper reflection about the purpose of human life, and that reflection seems to be missing from transhumanist literature. Finally, I do not believe that aging should be viewed as the enemy of living. Aging can also mean “sage-ing,” to use the word coined by Zalman Schachter-Shalomi,23 and there is a lot of wisdom that comes only with age and is directly related to encountering the challenges of growing frail and losing vigor. With aging comes the wisdom of compassion, acceptance, and forgiveness that is hard to attain when the good life is defined in terms of having fun or feeling pleasure. As Hans Jonas has understood already in the 1970s,24 human life is lived more deeply and richly if we are aware of our mortality and finitude; we make decisions differently and we live less wantonly and superficially with the awareness of death than without it. The most radical aspect of transhumanism is the scenario that humans will be able to transport the content of their brains, their minds, to a non-biological entity and thereby achieve immortality. Kurzweil and other transhumanist visionaries imagine a “brain-porting scenario” that will involve “scanning a human brain capturing all of the salient details.” This will entail reinstantiating the brain’s state in a different – most likely much more powerful – computational substrate. According to Kurzweil this will be a feasible procedure and will happen mostly likely around the late 2030s.25 In this scenario “we will continue to have human bodies, but they will become morphable projections of our intelligence.” Such “software-based humans,” he predicts, “will be vastly extended beyond the severe limitations of humans as we know them today. They will live out on the Web, projecting bodies whenever they need or want them, including virtual bodies in diverse realms of virtual reality, holographically projected bodies, foglet-projected bodies, and physical bodies comprising nanobot swarms and other forms of nanotechnology.”26 For Kurzweil this is a form of immortality, although he concedes that the data and information do not last forever; the longevity of information depends on its relevance, utility, and accessibility. So, how do we make sense of the transhumanist vision of the eschatological future? Should we simply dismiss this vision as “silly,” as some of my colleague at ASU do, or should we engage this vision historically, philosophically, and ethically? I will do the latter. Historically speaking, the vision of the eschatological end as immortality of the intellect is not new; it was articulated already in the Middle Ages by Muslim and Jewish thinkers, most notably by Ibn Rushd (d. 1198) and by Maimonides (d. 1204) who followed Aristotle’s conception of God as a mind that thinks itself eternally. Following Aristotle, these thinkers indeed understood God as a thought that thinks itself eternally and envisioned that very developed human minds (the minds of outstanding philosopher-prophets) will reach such perfect knowledge and such minds will experience the bliss of immortality, an infinite intellectual activity unencumbered by the corporeal body. Does that mean that Maimonides was the first transhumanist? Not really. Yes, Maimonides did believe that it is possible for some humans to be outstanding in knowledge and understanding of the structure of reality, and he clearly believed that the Prophet Moses was such an individual.29 However, Maimonides did not think that Moses was God nor did he identify Moses with the Separate Intellects, the philosophic version of the traditional beliefs in angels. Moses was in a class of his own among humans, but he was neither an angel nor God; Moses remains human and was able to translate his profound understanding into laws that guide human action. In other words, even in regards to Moses, Maimonides was clear not to erase the boundaries between the human and the divine, and to acknowledge the humanity of Moses. But it is precisely the boundary between the human and the divine which transhumanism in its hubris seeks to erase as it imagines the fusion between human and intelligent machines. More troubling is the notion that humans can actually achieve the eschatological ideal. Here I am speaking as a Jew who is committed to the pursuit of the ideal rather than to its realization. The pursuit of the ideal endows life with meaning and gives life direction, but when the prescription is taken a description of a state of affairs, disasters lurk. The description of the eschatological end as envisioned by transhumanism fills me not with beauty and elegance but with horror and disgust. Perhaps, this reaction indicates a failure of the imagination, but it can also be that my reluctance to endorse the transhumanist future is based on a historical awareness of the destructive powers of utopian thinking. No one understood this point better than Hans Jonas,33 the German-Jewish philosopher and early critic of modern technology and its utopian visions of enhanced humans. It is befitting to remind ourselves of Jonas’s profound reservations about biotechnology as we assess transhumanism. In terms of life expansion, Jonas suggested that mortality is not just a curse or a burden, it is also a blessing. It is a burden insofar that we organic beings must wrest our being for the continuous threat of non-being. But it is a blessing insofar as our resting is the very condition for any affirmation of being at all, so that “mortality is the narrow gate through which alone value – the addressee of a yes – could enter the otherwise indifference universe.”34 For Jonas the effort to forestall death or overcome mortality is a fundamental denial of what makes us human. The process of life requires mortality as the counterpart of the natality that alone can supply the novelty and creativity that enrich human life and express freedom. Freedom is imperiled when it ignores necessity. In terms of genetic engineering, Jonas considered many ends of genetic engineering to be frivolous). Genetic enhancement for the sake of improving one’s look or one’s chances of social success falls in that category. 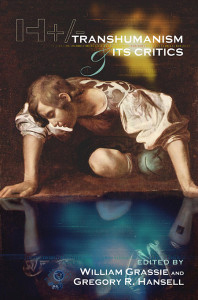 As for germ-line intervention, without which the transhumanist vision is not possible, Jonas appealed exclusively to consequences: the irreversibility of germ-line interventions, the range of their effects, the impossibility of drawing a line in practice between therapy and enhancement of traits or prohibiting the outright invention of new human forms that isolate the ontological states of human nature. In terms of human improvement, or eugenics, Jonas distinguished between negative eugenics (namely, developing diagnostic tools to identify genetic diseases and then manipulating the genetic code to eliminate bad genes) and positive eugenics Jonas (namely, manipulating genes so as to enhance human performance). In regards to both programs he reminds us that an ambitious eugenics violates the normative status of nature, but that we do not have criteria or standard to determine what is normal and what is pathogenic. Finally, as for the elimination of “bad genes” from the population, Jonas held that any effort to eliminate undesirable genes from the gene pool altogether threatens the biological necessary of a varied gene pool and encounters our ignorance about the role apparently useless genes may play in human adaptability. Jonas argued against positive eugenics on the same ground: the lack of criteria and standards for intervention; positive eugenics aims at a qualitative improvement over nature and therefore it cannot claim the sanction of nature. Although technology has advanced well beyond what Jonas reflected about, his reservations about biotechnology in which the human becomes a design object deeply resonates with me. It is quite clear that the transhumanist vision emerged because of the confluence of knowledge in certain scientific fields and their technological applications, especially in genetics, robotics, and nanotechnology. The fusion of horizons of knowledge demonstrates why the traditional disciplinary boundaries are becoming increasingly obsolete and why scholars in the humanities and the social sciences need to become at least aware if not conversant with the new disciplines. But conversely, scholars in the applied sciences and especially engineering and public policy must become more attune to the humanities and must engage their own scientific disciplines critically in light of the values articulated by the humanities. The promoters of transhumanism are right to hold that we are facing a new situation in human development because today the human being has become a design project. But unlike the advocates of the transhumanist vision, I am deeply concerned, even worried, about the current situation. The new genetics enables us to enhance our biological state; nanotechnology enables us to manipulate materials on an atomic scale; and robotics not only replaces the human brain with non-biological computing power, which will exceed the human brain, but also facilitates the integration of biological and information technology. Given these developments, the modernist dichotomy between the observer and the observed, the humans and the physical environment, nature and culture, making and thinking is no longer tenable. Indeed we are now faced with a challenge that requires us to rethink the legacy of the Enlightenment and articulate a new theoretical framework that could address the new complex reflexivity. Transhumanists dismiss their critics as “bio-Conservative” or “bio-Luddites”, but name calling is not a substitute for critical thinking.35 We do need to understand the novelty of the new situation, and this will be the focus of the second year of the Templeton Research Lectures at ASU with the Templeton Co-Fellows of Braden Allenby and Daniel Sarewitz and invited guest speakers: Jean-Pierre Dupuy, Katherine Hayles, Don Ihde, Andrew Pickering, and Ted Peters. We cannot yet predict the outcome of these deliberations, but it is clear that the deliberations will be decidedly transdicsiplinary, crossing the boundaries between history, philosophy, science, technology, art, literature, religion, and spirituality. Transdisciplinarity indeed characterizes intellectual life in the 21st century, which is indeed progressing toward a post-human future with its promises and perils. 1 ASU is the recipient of the Templeton Research Lectures (2006-09) for a project entitled “Facing the Challenges of Transhumanism: Religion, Science, and Technology,” and I am the project manager of the project. 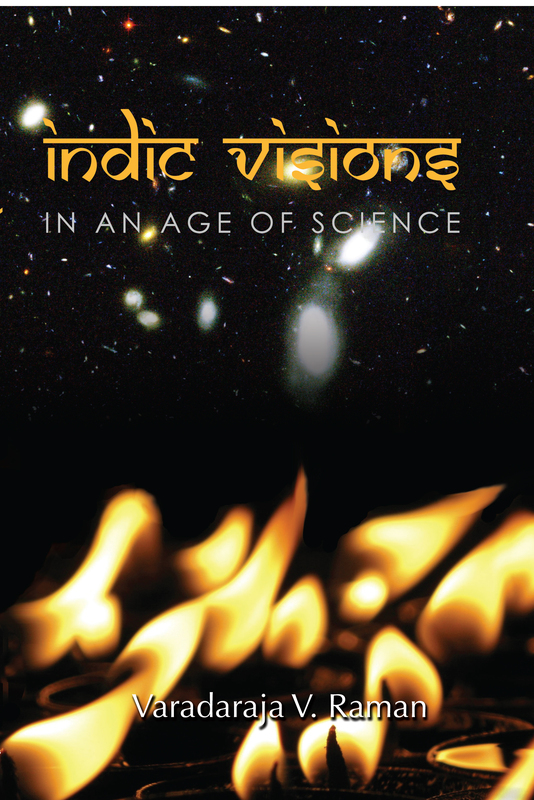 The following essay is based on a lecture delivered at the annual conference of the Metanexus Institute on “Transdisciplinarity and the Unity of Knowledge: Beyond Science and Religion Dialogue” held at the University of Pennsylvania in June 4-6, 2007. 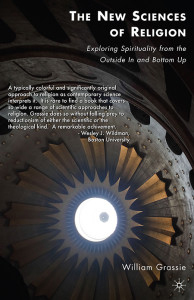 The content of the essay reflects the deliberations of ASU faculty seminar, “Being Human: Science, Religion, Technology, and Law,” which has been active for the past three years under the auspices of the Center for the Study of Religion and Conflict. 2 Julian Huxley, New Bottles for New Wine, Essays (New York: Harper, 1957). 3 For information about the Tranhumanist World Association see www.transhumanism.org. 4 See Fritz Ringer, The Decline of the German Mandarins: The German Academic Community, 1890-1933 (Cambridge, Mass. : Harvard University Press, 1969); Charles E. McClelland, State, Society and University in Germany, 1700-1914 (Cambridge: Cambridge University Press, 1980). 5 Nick Bostrom, “The Transhumanism FAQ: A General Introduction,” available on his website www.nickbostorm.com. 6 Gregory Stock, Metaman: The Making of Humans and Machines into a Global Superorganism (New York: Simon and Schuster, 1993), introduction; Cf., Redesigning Humans: Choosing Our Genes, Changing our Futures (Boston and New York Houghton Mifflin Company, 2003). 7 Langdon Wiener, “Resistance is Futile: The Posthuman Condition and Its Advocates,” in Is Human Nature Obsolete? : Genetics, Bioengieering and the Future of the Human Condition, ed. Harold W. Baillie and Timothy K. Casey (Cambridge, Mass. : The MIT Press, 2005), p. 187. 8 Lee Silver, Remaking Eden: Cloning and Beyond in a Brave New World (New York Avon Books, 1997), p. 4. 10 Ray Kurzweil, The Singularity is Near (New York: Viking, 2005), p. 9. 11 Hans Moravec, Robot: Mere Machine to Transcendent Mind (New York: Oxford University Press, 1999), pp. 152, 132, cited in Langdon Wiener’s essay, p. 390. 12 Steven Pinker, The Blank Slate: The Modern Denial of Human Nature (New York: Penguin Books, 2002), p. 142. 13 The Tooby-Cosmides team has published many scientific papers that cannot be listed here. Their approach is reflected in the edited volume The Adapted Mind: Evolutionary Psychology and the Generation of Culture ed. Jerome H. Barkow, Leda Cosmides and John Tooby (New York: Oxford University Press, 1992). 14 Quoted from interview with Leda Cosmides, “Are we Already Transhuman?” in the Newsletter of the Arizona State University Center for the Study of Religion and Conflict (Spring, 2007). 15 Tooby’s paper was delivered in a workshop on “Transhumanism and the Concept of Human Nature” which was held at ASU held on April 16, 2007 as part of the Templeton Research Lectures. 16 Joel Garreau, Radical Evolution: The Promise and Peril of Enhancing Our Minds, Our Bodies – and What it Means to be Human (New York: Doubleday, 2004), p. 59. 17 Van der Leeuv’s paper too was delivered in the workshop on “Transhumanism and the Concept of Human Nature” held at ASU on April 16, 2007. 18 For an overview of the discourse on happiness in western culture see Darrin MacMahon, Happiness: A History (New York: Atlantic Monthly Press, 2006). 19 Aristotle’s views on happiness can be interpreted in more than one way. For analysis see Sarah Broadie, Ethics with Aristotle (New York and Oxford: Oxford University Press, 1991), pp. 3-56. 22 This point was made already by other critics of Kurzweil. See Michael Denton, “Organism and Machine: The Flawed Analogy,” in Are we Spiritual Machines: Ray Kurzweil vs. the Critics of Strong A.I., ed. Jay W. Richards (Seattle: Discovery Institute, 2002), pp. 78-97. 23 See Zalman Schachter-Shalomi, From Age-ing to Sage-ing: A Profound New Vision of Growing Older (New York: Warner Books, 1995). 24 On Hans Jonas see note 33 below. 25 Raymond Kurtzweil, The Singularity, p. 324. 26 Kurtzwseil, ibid., p. 325. 27 Kurtzweil, ibid., p. 388. 28 Kurtzweil, ibid., p. 389. 29 For a full discussion of Maimonides’ view of happiness see Hava Tirosh-Samuelson, Happiness in Premodern Judaism: Virtue, Knowledge, and Well-Being (Cincinnati: Hebrew Union College, 2003), pp. 192-245. 30 The word ‘facing’ in the title of ASU’s Templeton Research Lectures, “Facing the Challenges of Transhumanism,” was deliberately chosen to signal Levinas’s reflections on the irreducibility of the face of the Other. For exposition of Levinas’ philosophy on this point consult Jeffrey Bloechl (ed. ), The Face of the Other & The Trace of God: Essay on the Philosophy of Emmanuel Levinas (New York: Fordham University Press, 2000). 31 Ted Peters, Anticipating Omega: Science, Faith and Our Ultimate Future (Göttingen: Vandernhoeck & Ruprecht, 2006), p. 119. 32 Cited in Peters, Anticipating Omega, p. 124. 33 For a biography of Hans Jonas (1903-1993) see Christian Wiese, The Life and Thought of Hans Jonas: Jewish Dimensions (Hanover and London: University Press of New England, 2007). A useful overview of Jonas’s thought is available in David J. Levy, Hans Jonas: The Integrity of Thinking (Columbia and London: University of Missouri Press, 2005). A comprehensive considerations of all aspects of Jonas’s intellectual legacy will be available in Hava Tirosh-Samuelson and Christian Wiese (eds. ), Judaism and the Phenomenon of Life: The Legacy of Hans Jonas (Boston and Leiden: Brill Academic Publishers, 2008). 35 See, for example, James Hughes, Citizen Cyborg: Why Democratic Societies Must Respond to the Redesigned Human of the Future (Cambridge, Mass. : Westview Press, 2004). .